I might have mentioned once or twice on this blog that having a clay soil causes a few complications when building. 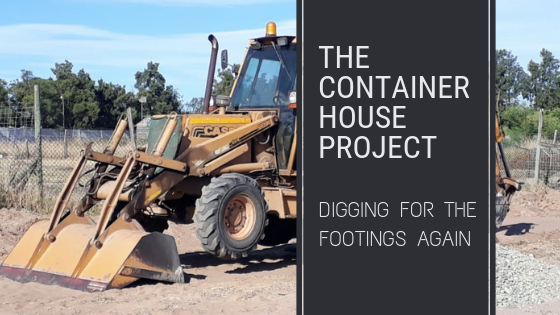 A few months ago we dug some holes where we wanted to plant the concrete footings on which our container house would sit. However we didn’t have the the final specs from the structural engineer and were unable to finish the work. We are glad we did dig the holes though, because it gave us a good opportunity to examine the soil type; all information useful for us and the structural engineer. 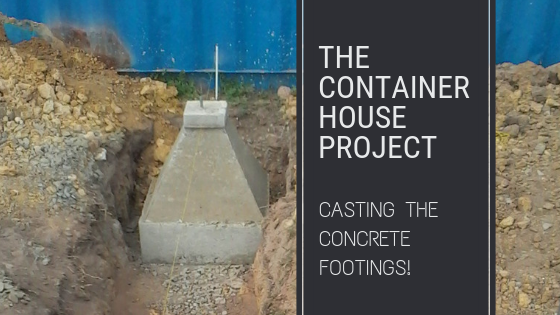 Now we have received the final specs for the shipping container house footings from the structural engineer, John Moll, so can continue the work. We are finally able to release the details of our structural engineer! Quotes have been received, documents signed and deposits paid. Full steam ahead! We are very excited about this particular structural engineer, because Kevin has worked with him before on a project. Kevin and John work well together, so we expect that this part of the project will go smoothly. Without any further ado, may we present to you, John Moll of GM Civil Engineers. 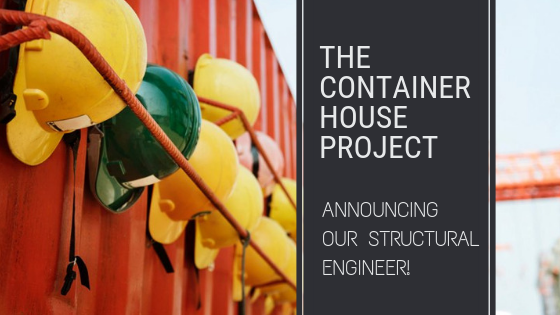 Continue reading Announcing Our Structural Engineer!